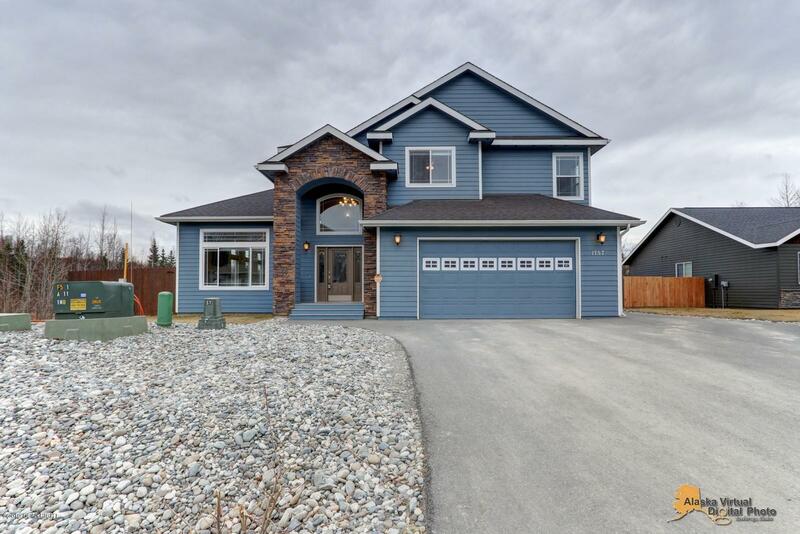 Gorgeous home located in one of the most desirable neighborhoods in Wasilla. A scenic 35 minute commute to JBER. This 5 star energy rated home features 3 bedrooms, 2.5 bathrooms, beautiful kitchen with a large island and custom desk, gas fireplace, tons of natural light, vaulted ceilings, large living/dining room, granite throughout, and large his and her closets. RV parking!